Amazon's Fire tablets have many things going for it, but they also have at least one shortcoming: they don't come with Google Play. While the Amazon Appstore does have most of the apps one might want, there are some apps (like reading apps that compete with the Kindle app) that Amazon won't let us install on a Fire tablet. Luckily there are several workarounds. The more complicated solutions involve installing Google Play on your Fire tablet (this is also the most efficient and effective) but there is also a trick that requires a lot less work. A friend recently asked about this trick (he's a new Fire owner), so I thought it would be worth sharing with everyone. 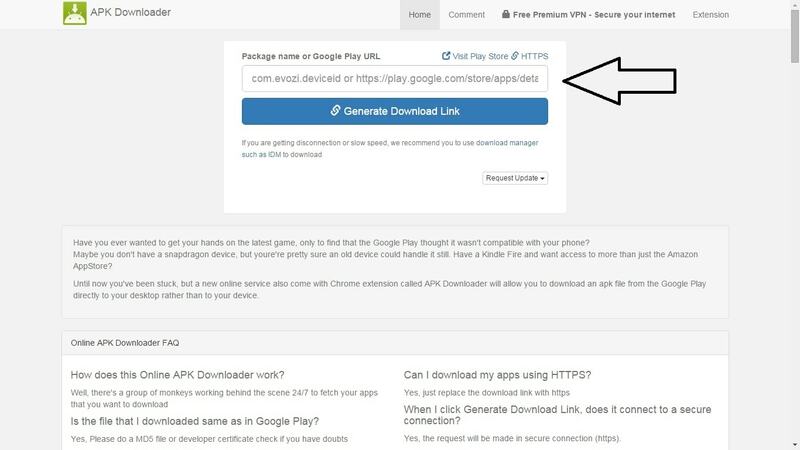 After identifying the free app in Google Play you want to download, go to a site like Evozi's APK Downloader and use its download tool to get the app. Transfer it to your Fire tablet, and install it. And here's the longer version. First things first: Turn on your Fire tablet, and go to the Amazon Appstore. Search for and install a file manager like "ES File Explorer". Nowurn back to your computer. You probably have a web browser open right now, so go ahead and open two more tabs. In the first tab, navigate to the Apps section of Google Play. Open Evozi's APK downloader in the second tab. The trick for getting free apps is to search for the app, copy the URL for the app listing, and then paste the URL into the Evozi APK downloader and clicking the button. 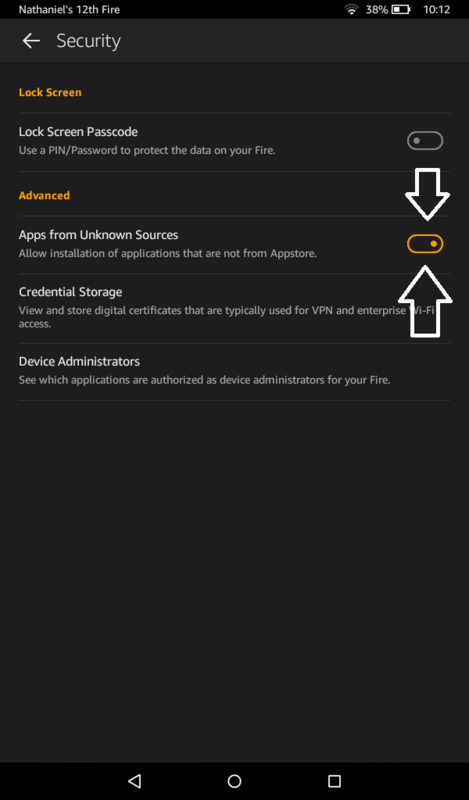 Once you've downloaded the apps you want, you can transfer them to your Fire tablet over a USB cable. Copy the apps to a folder on your Fire tablet, and then unplug the tablet from your computer. Installing the apps is as simple as using the file manager to open the folder with the apps, select an app, and then select the option to install the app. This trick won't work with paid apps or with apps that depend on in-app purchases (those additional sales depend on Google tech) but it's good for like 90% of the apps I have needed. This won't work with all apps; some just aren't compatible and sometimes the process simply won't work. But this is the trick I use when I want to assemble a suite of apps so I can test compatibility. Do let me know in the comments if this doesn't work for you or if parts are unclear. And if you want to go the hard route, you can install Google Play on the Fire tablet. It's a lot more work, but it can be done. The Chrome extension method mentioned in in Evozi website works all the time even when the online tool is overloaded and always delivers the latest version of the app. That has never worked for me. I don’t know why, but it just doesn’t. I’ve used evozi from Silk. Downloads directly to the tablet. I’ve also sideloaded using the browser in ES File Manager (very useful on the FireTV and Stick). I thought of that, but I don’t think this kind of activity would work well on a tablet. Copy/paste is easier with a mouse. But that could just be me,. Copy/past works fine on my Fire Tablet. I wrote about an approach which works for paid apps, assuming you have another Android device around which can access Google Play. It doesn’t work for all apps, but it’s worked for most that I have tried. An addendum to Juli’s backup/sideload method is to use ES File Explorer to do the backup. Look in SD storage for the “backup” folder to access the saved .apk files. Downloaded Google Cloud Print to my Windows PC, copied to Fire tablet and installed. When attempting to print it asks to “add an account” but produces a blank page. Anyone know how to get beyond this? I think it wants your Google account. I’m not sure I have a solution but I do have a trick you can try. Here is a set of apps (ZIP file) I installed while trying to get Google Play working. I don’t have Google Play, but I do have Gmail and it is tied into my Google account. I think this will fix your problem. Thank you. I’ll give the account manager a try, hopefully it will get around the blank page. Cloud printing works for Gmail in the Fire Silk browser. I’ve tried a few other direct print and cloud apps in the Amazon store but they all fail, plus my printer (Canon Mx922) is not supported by the Mopria print service. My next approach is to install the Chrome browser that hopefully has the cloud printing built in like it does in Windows. The Chrome browser would probably do it, yes. The benefit of installing Google Play or a third party app store is upgrades. If you are just manually downloading APKs you need to yourself track if there’s a newer version. excellent! this worked perfectly for me (though i thought it wasn’t for a second). i’m brand new to both kindles and android, so i’m glad there’s such an easy workaround for the limitations. thanks! I don’t know. I tried to test it for you, but the download site isn’t working right now. Why don’t you try it? I need help. I got a tech at Amazon who connected via Mayday to my Kindle Fire HDX 10.1 and downloaded 2 APK apps directly on the tablet (all our computers were stolen or destroyed by “movers”, thieves. I want to download an APK app but now no one at Amazon will help. I have Easy Installer, but have low/no tech expertise. Can someone help. Appreciated! So does this mean any app with in-app purchases won’t work?